Local color: in New England they often call the local liquor store the Package Store – the Packy, for short – where you can get your drink in a package to take with you, rather than served to you. 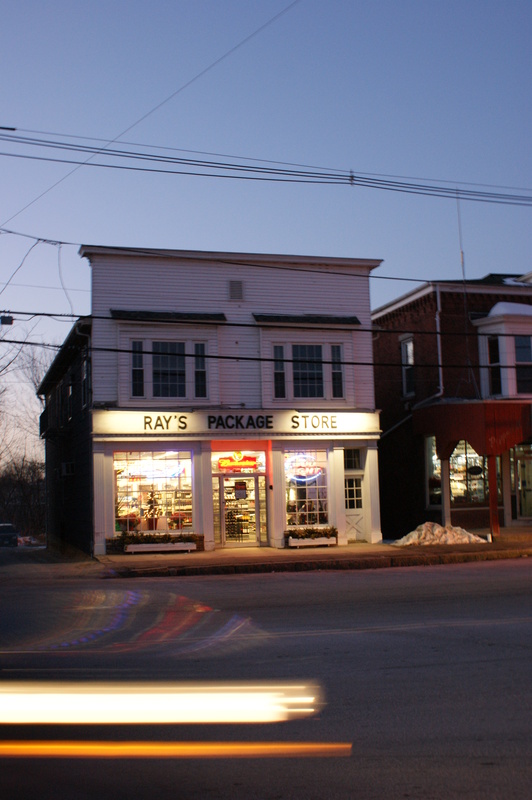 Ray’s, with it’ s clapboard facade and window boxes, is a favorite. You’ve got a great eye. You might have to start recording your F-stop, etc when you post these awesome photos. I love the way the lights are blurred and reflected on the street.